Holy crap. This is delicious. 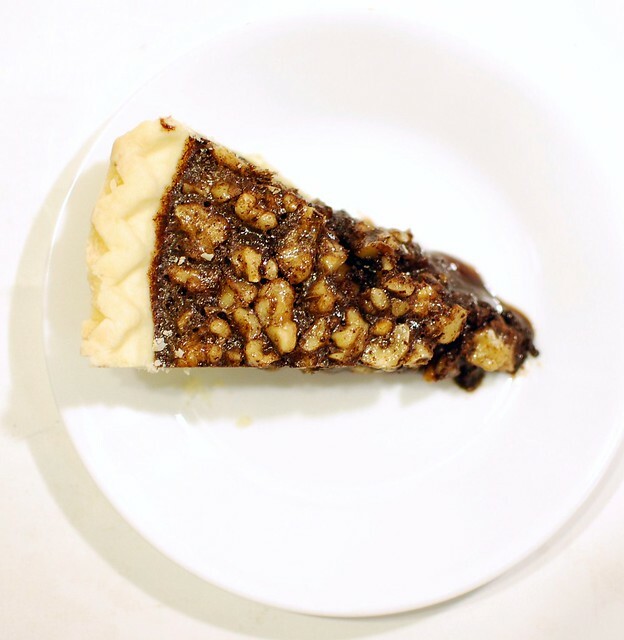 It's like, pecan pie, but CHOCOLATE. You can't beat that. This was just a side note in the Joy of Cooking after the pecan pie recipe, but it caught my eye. The recipe called for semisweet chocolate, but I didn't have that so I did some finagling and used cocoa powder. This is so good that I ate it for breakfast this morning. Preheat the oven to 375. Toast the pecans for 5-10 minutes. Beat the eggs, sugar, corn syrup, butter, cocoa, rum and salt until completely combined. 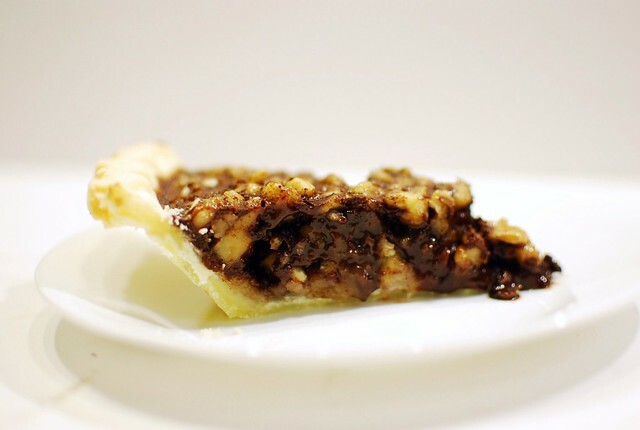 Sprinkle the nuts over the pie crust, then pour in the chocolate egg mixture. Bake 35-45 minutes, until edges are firm but the center is set but still a little quivery (like Jello). Cool completely before serving. Serve with whipped cream or ice cream or just as is! Because the cocoa powder is unsweetened, it is less 'ow my teeth hurt right this second' and more 'my teeth will hurt later because I am eating so many slices'. Does that make sense? It's still sweet, but very chocolatey. I might need to go eat another slice to tell you the answer. Yes I totally know what you mean and it looks amazing. AND I'm gonna make one soon. 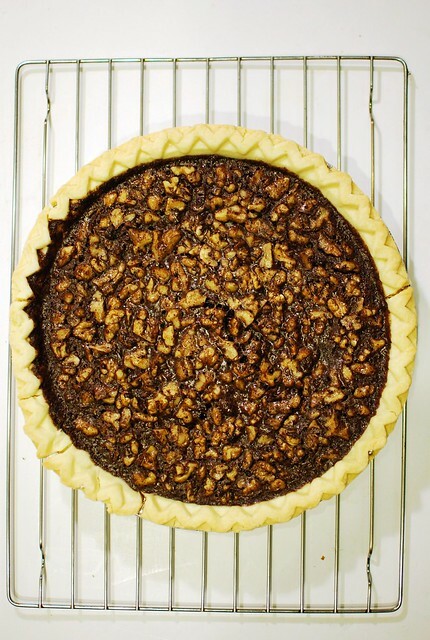 Who makes a store-bought gluten-free pie crust? And yes, this looks amazing. Wholefoods bakehouse makes frozen pie crusts - they're pretty decent, and cost about $6 for two. This was sooooooo delicious! let's make it again soon.